You know how I feel about this! Yesss!! These are the best screen grabs, too. I'm dying over here. It was just the other day John said to me, "Remember when we met Paige, Kirk, and Henry at the brewery and Kirk wouldn't even say hi to us before he saw Henry for a few minutes?" I said, "I forgot about that, but yeah!" I get the dad complaining. We are still a part of a society that A: Women expect men to understand and just do the things around the house and help with the kids without having to ask, and B: while men have stepped up in a huge way and are so much more involved parents these days there is still a sort of, subculture, if you will, of men and women who still believe that it's primarily the woman's job to do all of the domestic stuff so yeah, women are complaining. But I also understand where you're coming from. Women seem to be wary of asking their husbands for help. Where does that come from? centuries of us having to do it alone I guess. Talk about the wine though. I am lucky if I get to have a glass or two on a Friday night after my kids go to their dad's house for the weekend. Have you heard of Dry January? It's a British thing and apparently it really is a thing where parents will commit to the whole month of January not drinking a drop of alcohol because they consume so much of it every other month of the year. I've read blog posts about it that have had me wondering what is going on. It sounds like it's on the border of alcoholism but I don't really know. I haven't seen any target memes. I shop at Target all the time. It's one of my favorite stores but I don't go there unless I'm planning to spend money and that's usually on food and the kids. I just prefer it over Walmart. And in my town there aren't a lot of other choices. 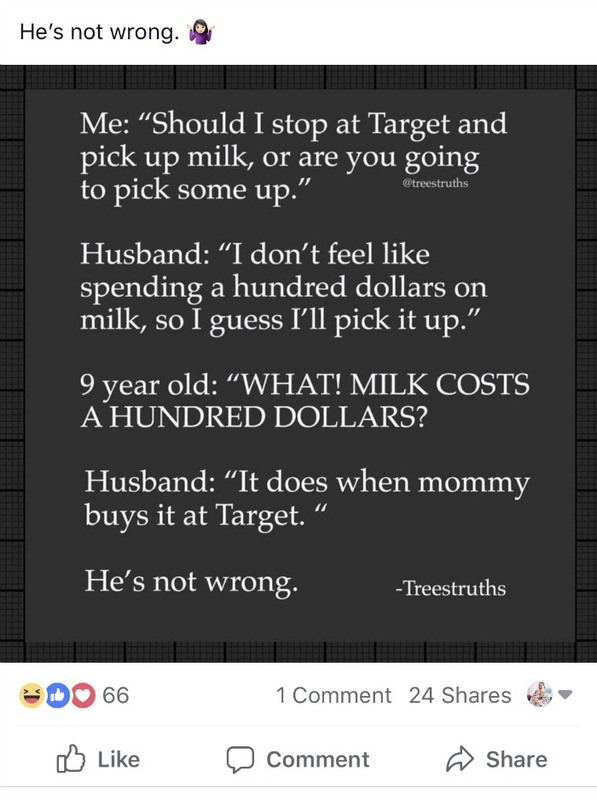 But I've never seen these memes and not had any conversations about Target. Guess it doesn't consume my life that much lol. I do, however, stay out of online conversations so I could be missing a lot of stuff. It does seem to be getting way too toxic these days. I totally agree with you! 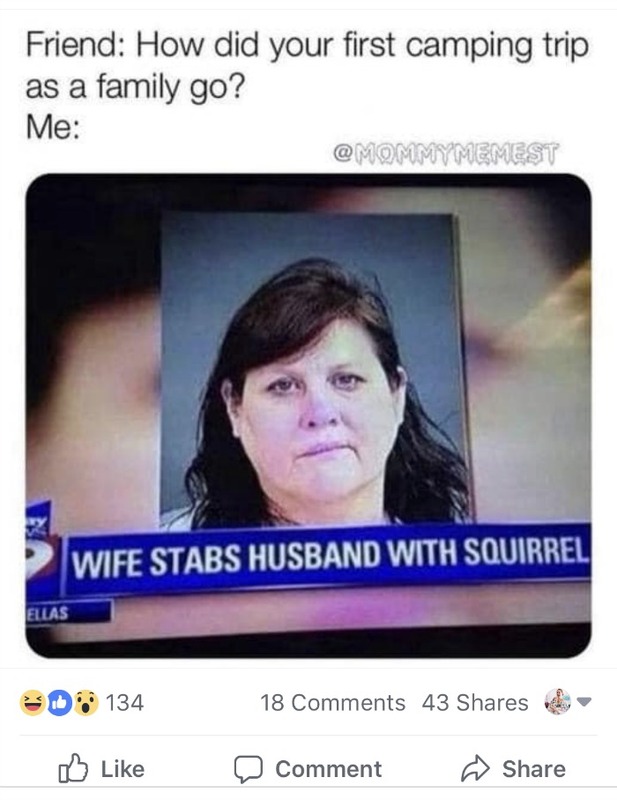 Oh my gosh, the husband bashing--I just don't get it. My husband isn't a lazy loser who succumbs like a wuss to a "man cold". Can't relate. And somehow I survive motherhood with five kids without coffee or wine so I hate when other moms assume it's something I need to survive. Can't relate. 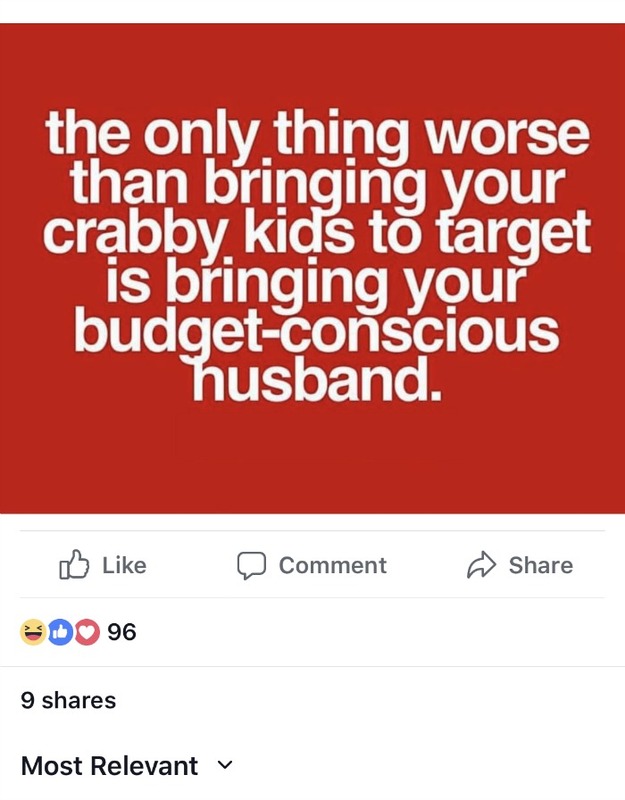 I am also always SHOCKED by how much people spend at Target. I mean, I like Target, but I rarely have time to peruse the aisles and never have the money to mindlessly buy things! Can't relate. I think it is so sad. I don't think people realize that when they continually feed themselves these popular sayings, they are cementing negative thoughts about their husbands, family, and life into their minds. This is a great post. What I great post. I feel like no one is talking about this! Thank you for downloading this directly from my brain! :) I would add the memes from moms talking about how awful their kids are. Yes, they are super challenging sometimes, but as kids that is basically their job--to learn how to be in the world by testing out their limit and emotions. 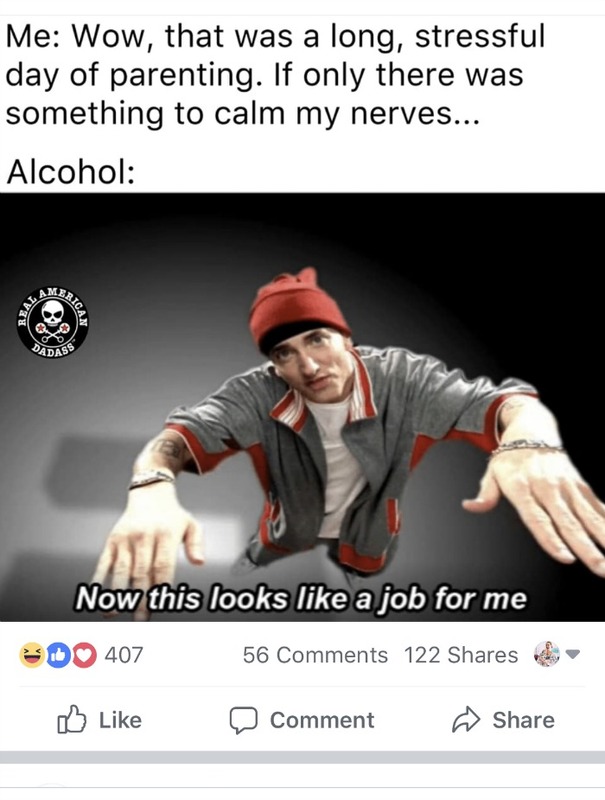 I get frustrated just as much as the next mom but some of the memes feel downright mean.